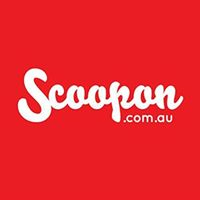 Scoopon is Australia’s home for exclusive offers on extraordinary everyday experiences, and we’d love your help to make our family grow! As one of the nation’s best-loved authorities on discovery and adventure, we connect Australians to amazing savings on fine dining, spa pampering, health, fitness, beauty, sightseeing and more. We’re on the ground in the country’s most popular cities and regions, but we’re huge on international journeys, too. Scoopon Travel helps Australians travel the world and enjoy 5-star luxury for less. That means iconic world-class resorts, far-flung destinations like Asia, Europe and the Pacific, and matchless value for money. Momentum for our brand of affordable luxury is growing, and your influence can help spread the message of luxury and affordability to Australians thirsting for a new way to travel.